In a small mixing bowl, combine the cucumber, carrot, green onion, garlic and shoyu. Let marinate for 1 hour, mixing occasionally. 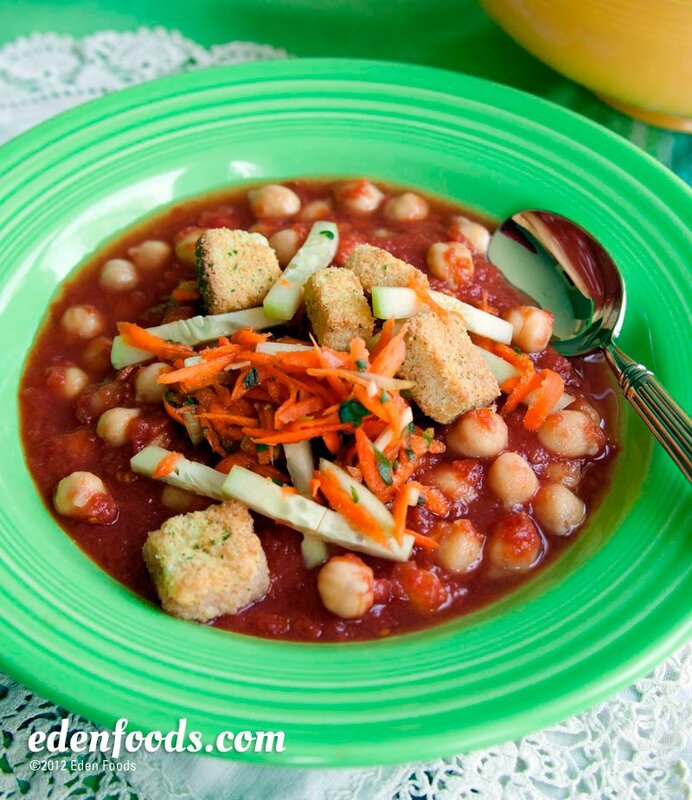 Place the garbanzo beans, tomatoes, jalapeno and sea salt in a food processor. Puree until smooth and creamy. Place in individual serving bowls and chill for 1/2 hour. Garnish each bowl of soup with an equal amount of marinated vegetables. Delicious served with your favorite croutons.